Providing a wide range of pumps and pumping solutions for global infrastructure and industrial market applications. 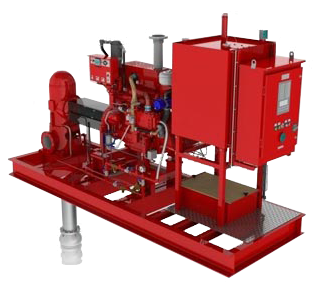 Fairbanks Nijhuis Fire Protection offers a complete pump room engineering service based on fire fighting and customer specifications. Customers benefit from years of obtained on-site experience. We are familiar with the latest fire fighting standards and guarantee that the pump rooms are fully compliant with these standards.